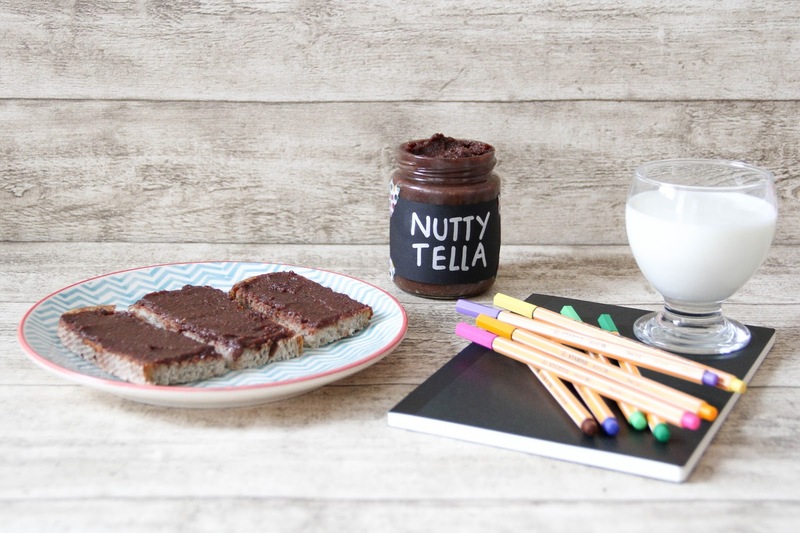 My homemade Nutella is the first recipe of the year and I have the feeling that it will be one of my favorites. To some this seems to be a bold statement as it is only the first of the year, but I have to say that I am really happy with the result. Well.. somehow, this might also be linked to the fact that I am quite obsessed with nut butters lately. Does anyone else share the same addiction? I never thought one could crave nut butters, but hey, at least it's a not so unhealthy treat if you prepare it in the right way. 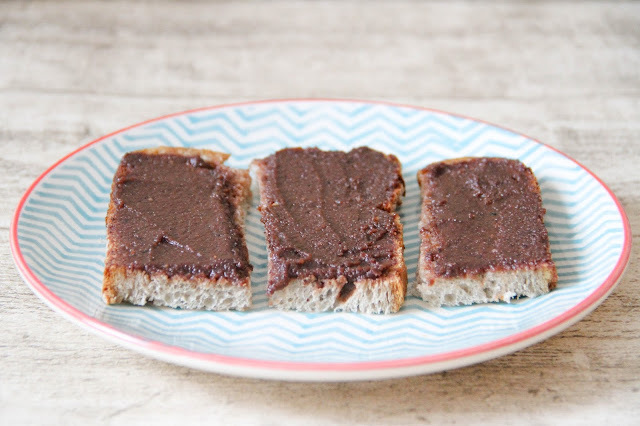 This cleaner version of the Italian processed spread has all the goodness of hazelnuts in it. Since I have my food processor I am making all kinds of nut butters on a regular basis. You will find some other non chocolaty versions on the blog soon! 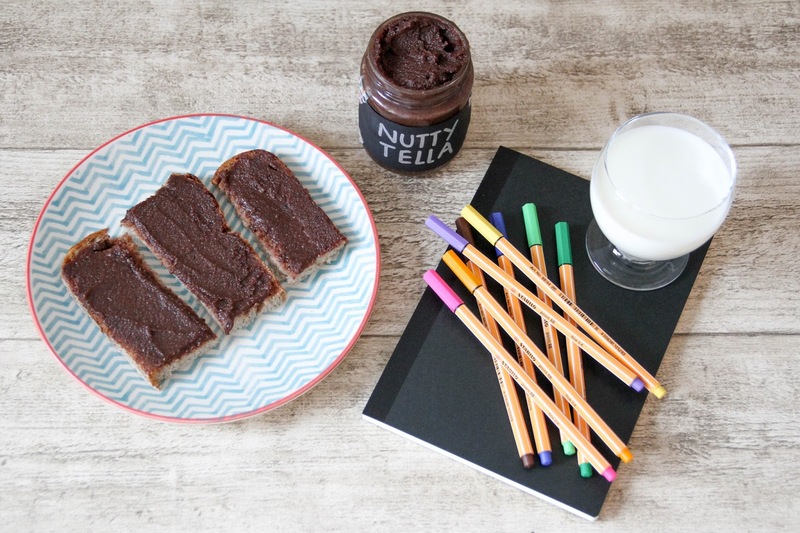 But back to this homemade chocolate hazelnut spread. 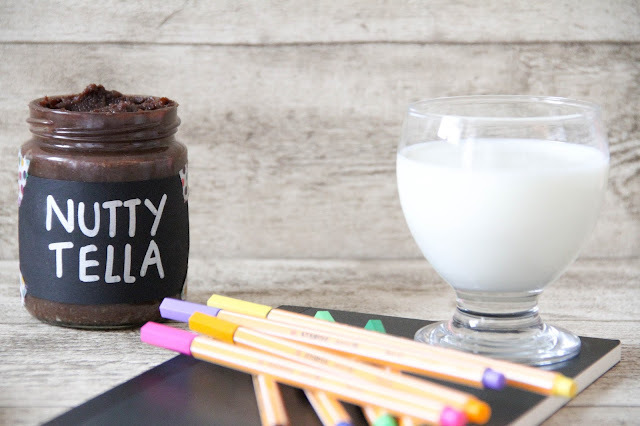 It all started when I was checking out some recipes on the Internet yet many of the homemade versions still had loads of sugar in it (which I didn't like). So I started checking out for healthier recipes. The funny part of the current recipe is that I was stumbling upon a recipe from a U.S. website using American cups as measurement and I was mistaken it for real cups. The result was completely different from what it should have been, but I'm so happy about my own version now that I didn't try the original one. Place the hazelnuts on a baking tray and bake for about 10 minutes. Take them out of the oven and let cool down a few minutes. Once cool, place them into a food processor and blend for around 10 minutes until you obtain a smooth nut butter. Then add the maple syrup and the cacao powder and blend again. 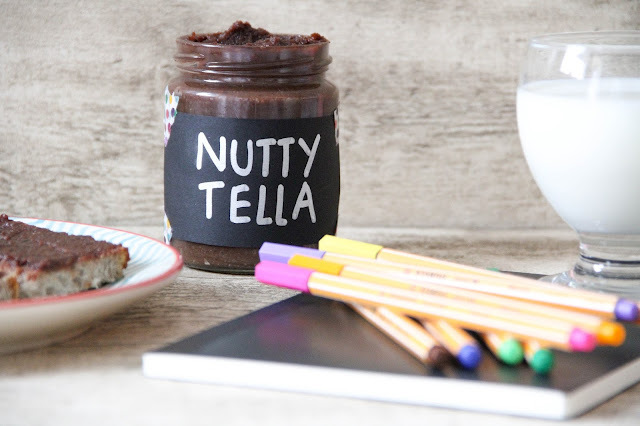 Now you can slowly pour in the water until the chocolate hazelnut spread become really creamy and smooth. Optional: Once the hazelnut spread is all smooth stir in the ground vanilla.